Greg Breining writes about science, nature and travel for the New York Times, Audubon and many other publications. 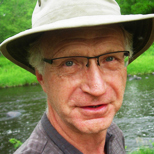 He has written more than a dozen books on topics ranging from the Yellowstone super volcano to kayaking around Lake Superior. He is a principal of Breeze Communication Arts, a writing and design firm in the Twin Cities. Should We Try to Keep Nature Natural?